Modern Standard Arabic is the official language of Yemen. 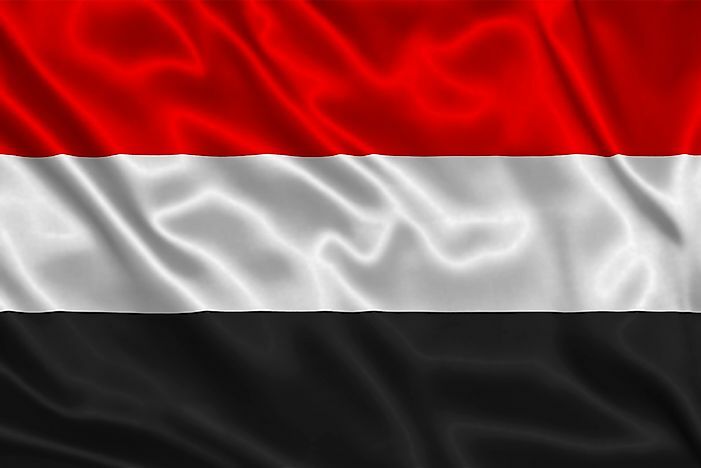 Yemen is located in the southern region of the Arabian Peninsula. It has a population size of 25.408 million. The primary ethnic demographic in this country is Arab, while other subpopulations include European, Afro-Arab, and South Asian. The diversity of the ethnic makeup of Yemen is reflected in the languages spoken, with many indigenous languages used throughout the country. The official language of Yemen is Modern Standard Arabic, as established by Article 2 of the 1991 constitution. This language is spoken by approximately 17.7 million individuals, and is the language of government services, media broadcasts, and public education. In addition to the Modern Standard variety, at least 5 other spoken dialects of Arabic are also used throughout the country. These include Sanaani, Ta’Izzi-Adeni, Hadrami, Gulf, and Judeo-Yemeni. The Sanaani variety has approximately 7.6 million speakers, and can be heard throughout the country, primarily in the eastern, western, and central regions. The Ta’Izzi-Adeni variety has approximately 6.76 million speakers in Yemen, and can be heard in the southern region, where it is considered the primary language. The Hadrami language has around 300,000 speakers and can be heard in the governorates of Shabwah and Hadramawt. Gulf Arabic is only spoken by around 10,000 individuals, and Judeo-Yemeni has only 1,000 speakers. Sanaani, Ta’Izzi-Adeni, and Hadrami are considered Muslim languages, while Judeo-Yemeni is spoken by Jews in the governorates of Sanaa, Shabwah, Al Bayda, and Adan. The non-Arabic languages of Yemen include Razihi, Soqotri, Mehri, Bathari, and Hobyot. The Razihi language has the highest number of speakers, with around 62,900. The majority of these individuals can be found in the region of Jabal Razih, the governorate of Sa’dah, and the district of Razih. The Soqotri language is the second largest non-Arabic language and has a speaking population of around 57,000 in Yemen. These people primarily live on the islands of the Gulf of Aden and the governorate of Amanat al Asimah. Approximately 50,000 individuals speak the Mehri language, which is concentrated in the governorate of Al Mahrah. Bathari is considered to be endangered and has such a small number of speakers that most linguists believe it will soon be extinct. It was once widely spoken throughout the governorate of al Mahrah. The final non-Arabic language is Hobyot, which can be found in a small area near the border with Oman. Yemen is also home to a number of immigrants and international businesses. Because of this diversity, several foreign languages are currently spoken in Yemen. Perhaps the most widespread foreign language spoken in Yemen is English, which has become essential for many business transactions and negotiations. Additionally, English is the most common foreign language currently taught in educational institutions. Although it can be heard anywhere in the country, English is primarily concentrated in the southern region. This geographic distribution is a result of the history of British colonial power in the area. Aside from English, the second most common foreign language in Yemen is Russian. The Russian-speaking population is the result of a high number of Russian-Yemeni marriages that took place in the latter part of the 20th century.